with a large gaggle of guests in tow. They wear distinctive plaid outfits, quite similar to the outfits worn by horse jockeys or polo players. 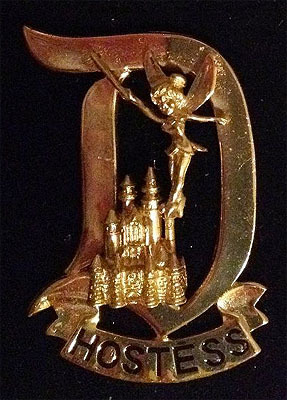 The first "D" pin created for Cast Members giving the Disneyland Guided Tour when the program was started in 1958. 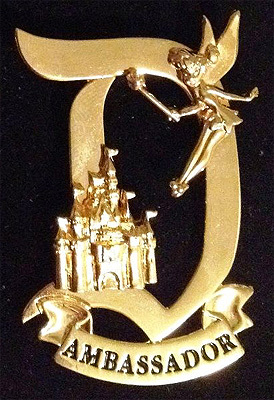 This pin is made of sterling silver, unlike later versions which are made out of a gold-plated base metal. 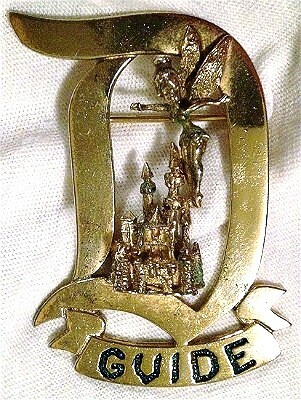 Badge worn by cast members who give the Guided Tour of the Disneyland resort. 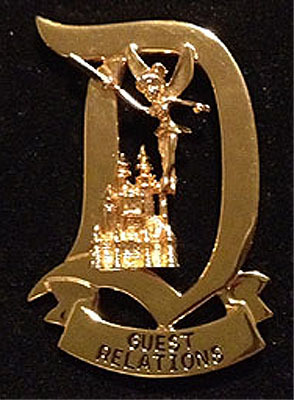 Badge worn by a Disneyland Host, special cast members provided as official escorts to VIP and celebrity guests during their visits to Disneyland. 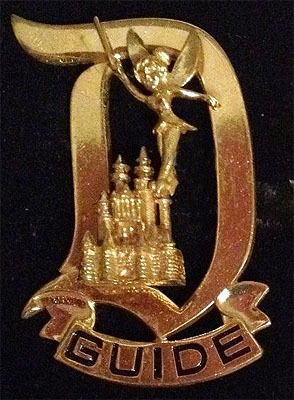 Badge worn by a Disneyland Hostess, special cast members provided as official escorts to VIP and celebrity guests during their visits to Disneyland. 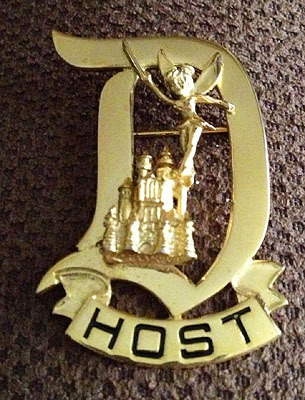 Guest Relations desks at Disneyland, ca. 2001. 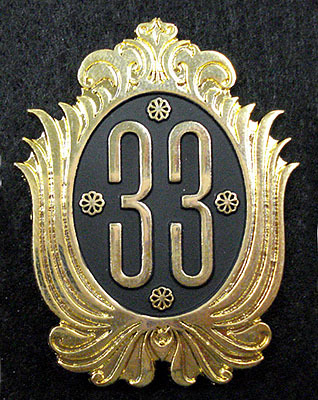 Badge worn by the maître d' working at Club 33, the exclusive members-only club at Disneyland. This badge is coming soon. Check back later.